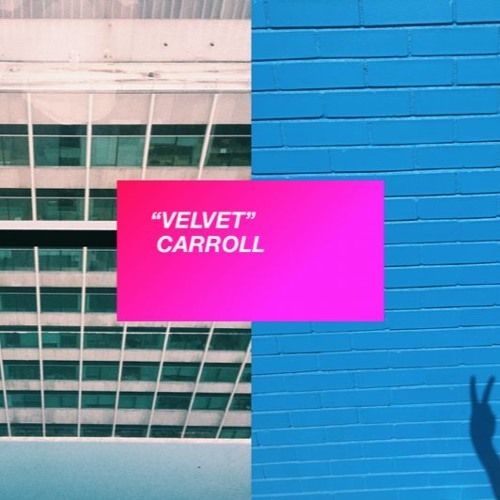 Home / brand new / brand new artist / Carroll / música / Carroll Unveil New Single "Velvet"
Carroll Unveil New Single "Velvet"
Philadelphia's psych pop quartet Carrol have unveiled their brand new single Velvet. This song is super smooth guys! Gorgeous saxophone and guitar chords wrap effortlessly around Brian's vocals to create a beautiful laid-back pop track! Stream it below! For us, "Velvet" is a bridge between the dense, cosmic psychedelia of our 2016 album As Far As Gardens Go and a newer sound we've found ourselves settling into since: a more hushed, mellowcholy sound tightly anchored to the groove. If As Far As Gardens Go found us hurtling through wormholes and electrical storms in space, then "Velvet" more likely has the four us playing in a smoky lounge with soft pink lighting, dark vines creeping in around us, and plush furniture of an otherworldly material. To help us achieve this vision, we enlisted Gabriel Garcia to bring his formidable alto saxophone chops to bear, quite literally bridging the gentle nylon guitar of the verse with the warped arps of the choruses. Brian Hurlow, Max Kulicke, Charlie Rudoy, and Charles McClung make up Carroll, one of the most colourful, carefully honed acts in indie rock.